I feared the mocks that I would surely get from others in school. Surely they’d call me pizza face or something a bit more creative. All-in-all, I knew I had to do something about it. This resulted in me popping the pimple, leaving angry red scratches all around it. I’m not going to say that I’ve learned not to pop my pimples ever again, but I definitely realize it’s not the end of the world when a friend pops up on my face. I also learned the importance of skincare. Now, I’m going to be honest and say I still get acne, but it’s hereditary. Both of my parents have bestowed the wonderful gift of adult acne to me. 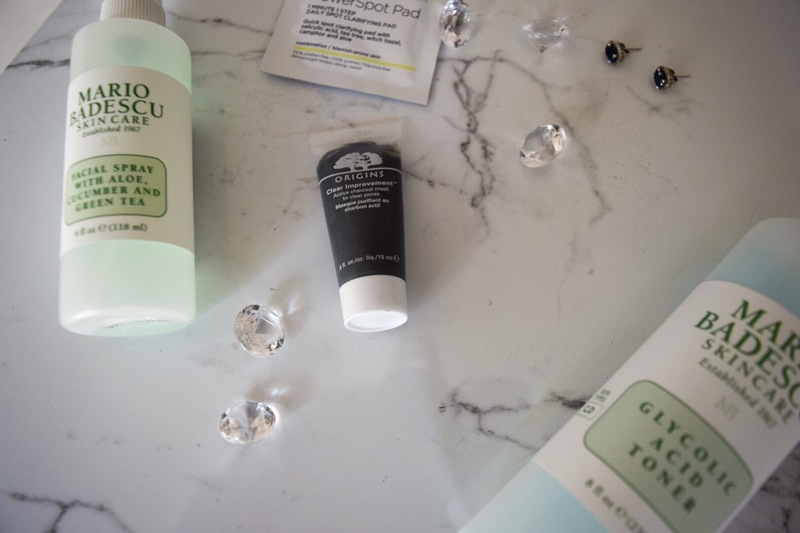 Though I’m aware that I will probably always have acne, there are some products that I have noticed have done some great things for the overall appearance of my skin. 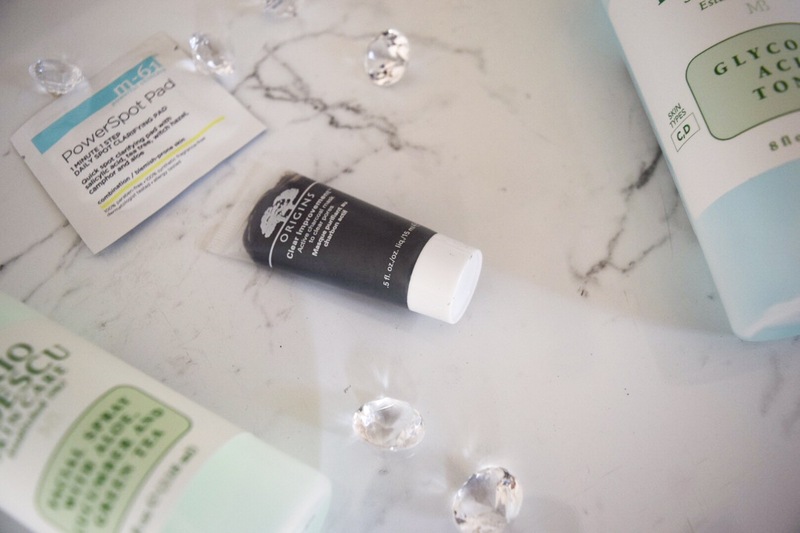 I spoke about the Origins Active Charcoal Mask in a previous post. I finds this really helps taking the gunk out of my pores and opens the up for other acne-fighting products. I do this about twice a week at night and find that my skin is extremely smooth afterwards. The charcoal helps clear toxins in your skin and is an ingredient that I suggest everyone incorporates into their skincare. 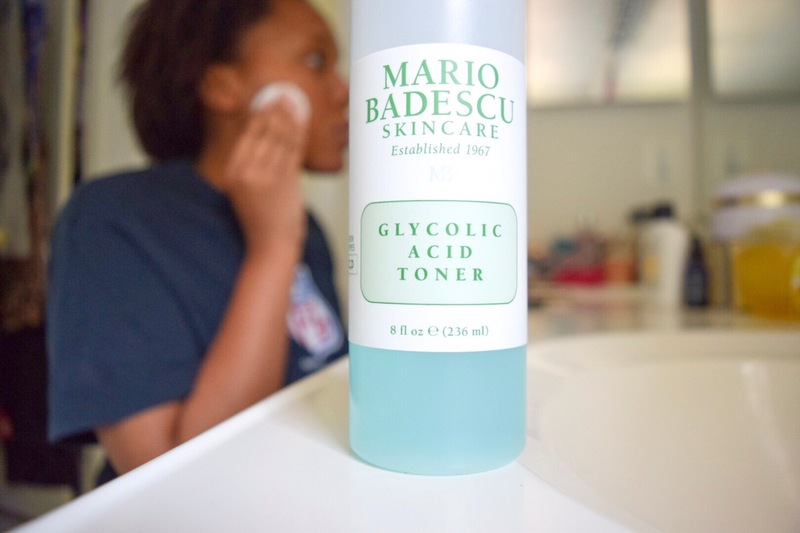 A standout product for me has been the Mario Badescu Glycolic Acid Toner. Glycolic Acid is another ingredient that is great for your skin. If you have dark marks, this will assist in lightening them up and improving the overall texture of your skin. This has done an amazing job at lightening my dark marks. In the couple of months that I’ve used this product, I’ve noticed a huge difference in the overall appearance of my complexion. Another Mario Badescu product is the Facial Spray with Aloe, Cucumber and Green Tea. Just as you would assume this does, this really soothes my skin after I do some intense skincare. I use this daily, just to give me an extra bout of hydration. I know this can be scary to my oily friends, but the combination of aloe, cucumber and green tea doesn’t affect your oil production. It’s just a refreshing spray in the morning and night. Lastly, I’d like to talk about the M-61 PowerSpot Pad for combination/blemish-prone skin. This little pad packs a powerful punch. With ingredients such as salicylic acid, tea tree and witch hazel, this works at really fighting your breakouts. I use this twice a week at night and my skin looks and feels great in the morning. My breakouts are visibly reduced and texture seems to have been smoothed out. I will say that this is an extremely strong product so if you have sensitive skin, you may want to steer clear of this. I do, sometimes get a stinging sensation, especially if I rub it over popped acne, so do be careful! 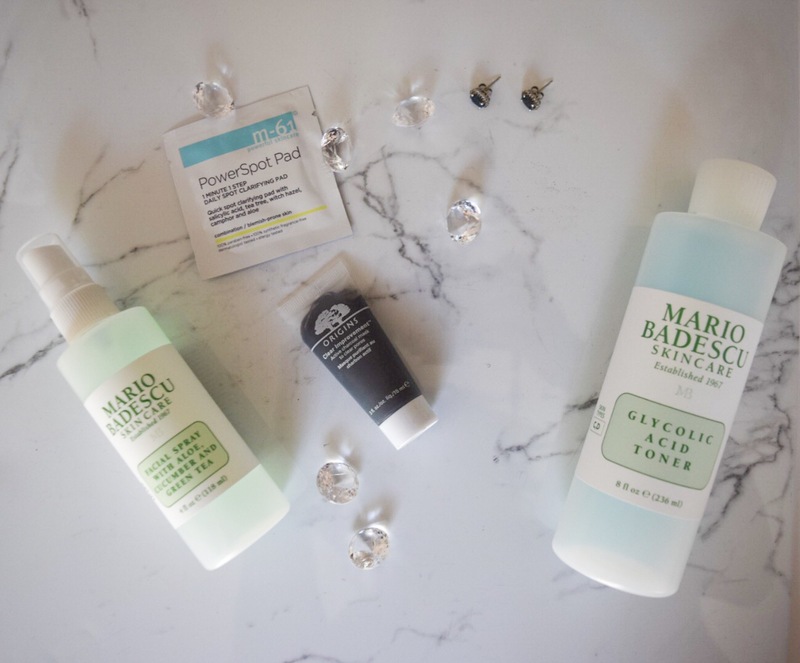 With these products, I can say that my skin has been the best that I’ve seen it in months. Also, though these may work for me, they may not work with yours, so just be mindful of what your skin concerns are and test out products before you buy to be sure they won’t irritate your skin. If these do work for you, I’m glad I could steer you in the right direction.